GREENMAX Mars C100 densifeir provides a great method to waste EPS recycling. 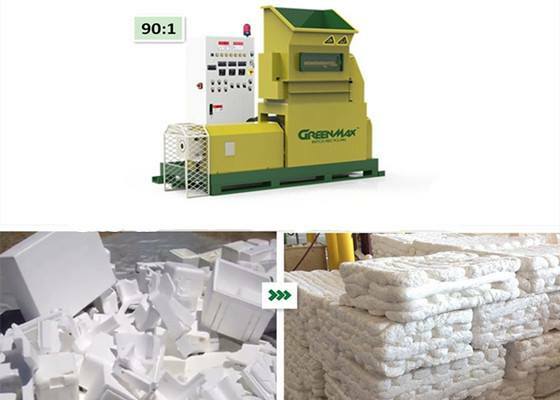 GREENMAX Mars C100 melting machine is big scale machine for waste foam such as EPS recycling. Specializing in waste plastic foam melting, it can reduce the foam volume at a high ratio of 90:1, which could offer convenience for waste collectors. The applicable materials are various, including EPE foam, EPS, EPP and so on. GREENMAX MARS densifier is developed to recycle such waste foam and make profits to your business.